"Peaks Island Shore View 2"
View from Peaks Island shore, with boats at center, and shore building in distant background. 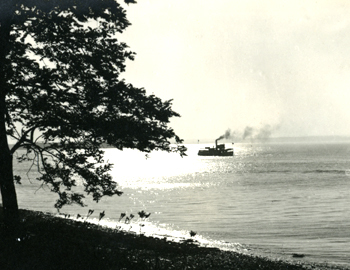 Ca1930. 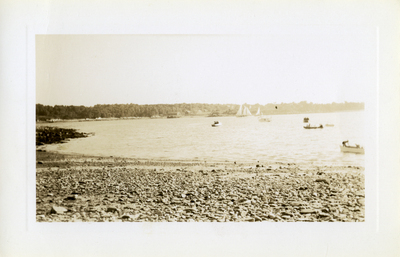 "Peaks Island Shore View 2" (1930). Photographs. 2.